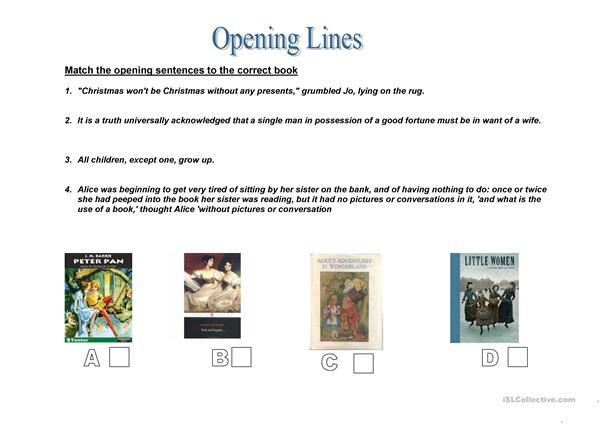 Can you match the opening lines to these book cover suing clues from the text? The above downloadable worksheet was created for elementary school students at Intermediate (B1) level. It is excellent for working on your students' Reading skills. IvyRose is from/lives in United Kingdom and has been a member of iSLCollective since 2011-05-12 11:09:57. IvyRose last logged in on 2011-05-12 11:09:58, and has shared 1 resources on iSLCollective so far.